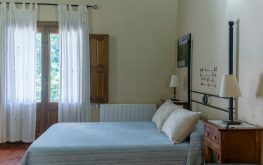 Casasturga apartments is the perfect place to enjoy your holidays. 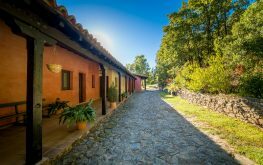 The houses have everything you need to stay some days and have a rest with comfort and in a fantastic area. We are situated in a natural area, surrounded by Pedro Chate gorge, where in summer you can enjoy a fresh bath. There are oaks all around, the gorge´s noise every moment and lots of birds. Enjoy an unforgettable stay in our apartments, in La Vera area, near Monfragüe NP. We rent five apartments fully equipped, with one or two bedrooms, living room, complete bathroom, central heating, kitchen with microwave oven, fridge, ceramic hob cooker and utensils. TV on the living room and terrace. There are two apartments of one bedroom; two of one bedroom and one loft. 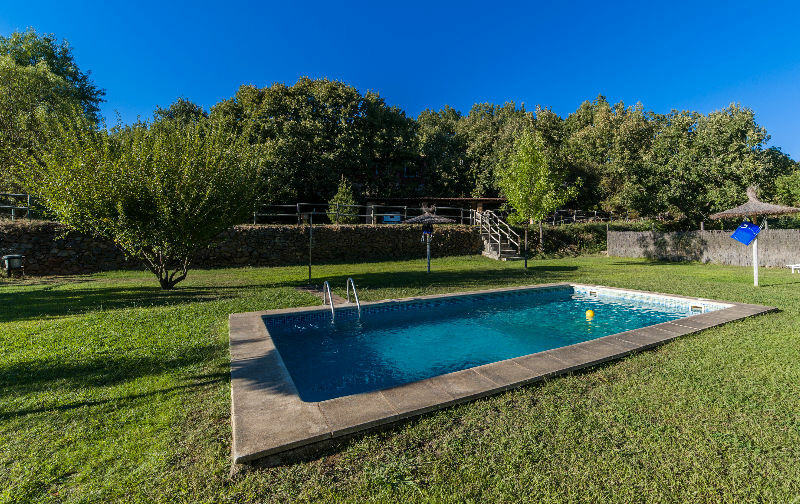 If you are searching apartments in Cuacos de Yuste with a good price, warranty and comfort, Casasturga offers you the best option to enjoy your stay in Extremadura. 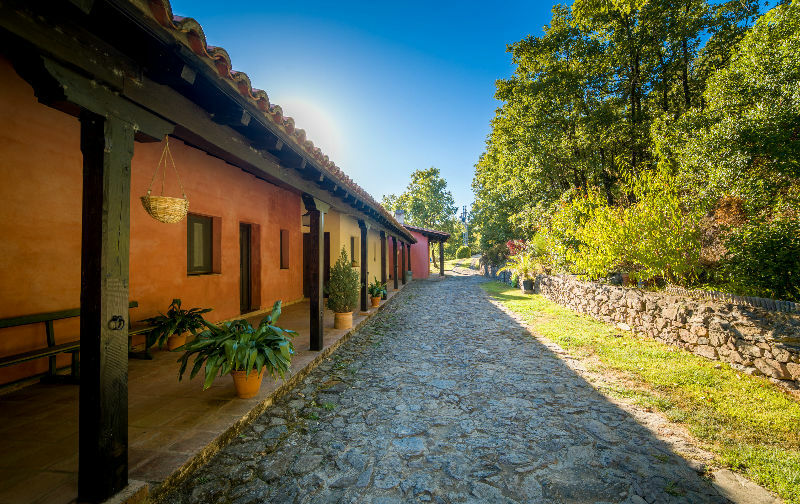 You don´t have to worry about anything, you only have to do tourism in La Vera Region and relax. We´ll help you in everything you need. 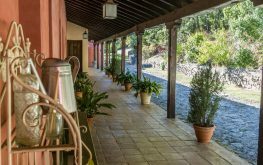 We are in a 13.000 square meters estate, surrounded by the gorge, in an oaks forest. 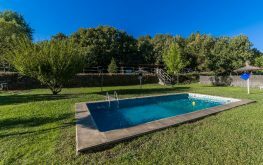 We have swimming pool with solarium and barbecue. There is a natural pool 200 meters away, where you´ll enjoy a charming restaurant every day in summer and on week-end in spring. 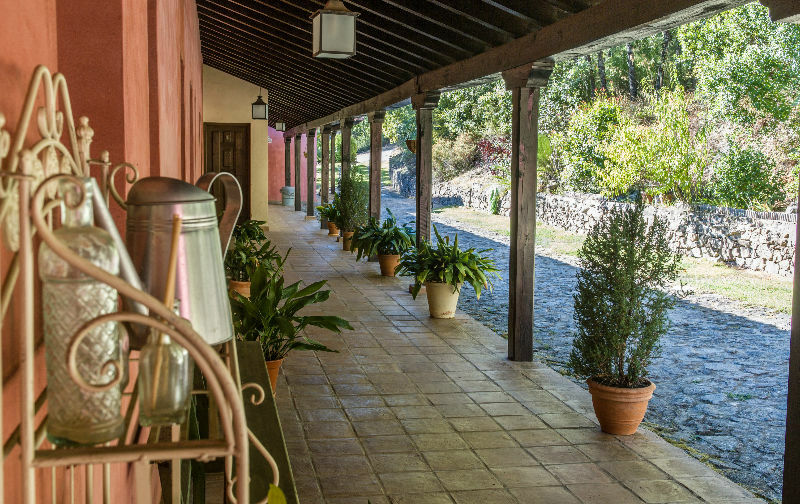 All around you´ll enjoy a lot of outdoor activities and a very tasty local food. There is a great tourist offer at the area.